At the time, I couldn't believe it would happen to me. We raised a family, we fought, then made-up, and made plans for our future - together. We didn't always have good times, but I honestly believed we would work through all our problems. We didn't have much money, nor did we go on exotic vacations, I thought our company and our love, would carry us through any hard times. We spent over a dozen years together and it took a courtroom about ten minutes to say it's over. We both knew our future together, would be destructive and dysfunctional, if we remained united. So we divorced. It was amazing how many people told me, it was the best thing to do or how I could do better, after it was all said and done. Whether, if it was for the best or if I could have done better, the truth was, at the time, I was scared, lonely, and full of pain. I was told, in graphic detail, the evil that my ex-wife was capable of. People thought I could just walk away from a marriage overnight and start a new life. But the pain was real. The "emptiness" - huge. Every morning, I'd wake up alone wondering who was sleeping in my bed with my ex-wife. I'd toss and turn every night, hugging a pillow, while I visualized how someone was comforting her. She had to realize, she couldn't do any better then me. Would her new lovers, fix her insulin and give her a shot? Would they make sure, she ate a proper diet? Would they protect her from bill collectors and from her family during one of their squabbles? As months passed, being single again, I began to feel comfortable with my new lifestyle. My solitude, began to lift the fog which had dulled my senses for far to long. When I first got divorced, I thought I lost a wife and four children, but the reality was that I lost five children. While legally, I was married, spiritually, I was raising another child... my ex-wife. I realize that this relationship served a purpose for both of us. It kept me in control and it kept her "perfect." By being my "perfect" little wife, she never did anything wrong. I lied for her, I stole for her... most of all... I kept her on her pedestal. I was the all loving father figure, to the person I was married too. With this knowledge, I was able to understand the pain I had wasn't from a loss of love but rather a loss of need. The void that was present, was the feeling of worthlessness. The duties, I performed as a husband, didn't teach me anything about a healthy relationship. I had been addicted to drugs, addicted to alcohol, and finally addicted to my ex-wife. This addiction, was the hardest to break. Buried in my heart, was still the fantasy, that she would realize how much she needed me. No where in my train of thought did I wonder if she wanted me. That divorce saved my life. It was the beginning of building a foundation for a new life. My dream would be to find a soul-mate, whose love for me, would be equal to my love for her. And while she may need me, I'd know she would always want me. We all deserve that. To be loved and wanted. As I was building this foundation, time moved along. My worries and concerns, for my ex-wife, began to disappear. One year had come and gone. I still wasn't dating, but it was no longer a concern. I had come to a point where I enjoyed my own company and I began to let God work through me. I realized that someday, in God's time, I would find my mate. But until then, I wouldn't worry about it. Nor would I rush it, or pressure it. Divorce was against everything I ever stood for. I gave my word, in front of God, that our marriage would last forever. Now I believe that God wanted me to live, be happy and maybe find a little peace. I could not achieve this through that marriage. Divorce wasn't easy, in the long run though, it helped me grow to be a better man and hopefully someday a better husband. Thanks for your comments on my page. You said so many powerful things in this piece and I can tell that you understand what I am going through during my own break-up. Some things that really struck a cord with me were:"We both knew our future together, would be destructive and dysfunctional, if we remained united. " This is so true but strangely enough a lot of people ignore that important signal. "Whether, if it was for the best or if I could have done better, the truth was, at the time, I was scared, lonely, and full of pain....But the pain was real. The "emptiness" - huge." Oh my goodness, this statement is SO true. No matter how awful the relation was to live through, you wind up with a huge whole in your life once they are gone. You think you can deal with it but it is evident almost immediately. " We all deserve that. To be loved and wanted." Another statement that is so true but glossed over but people who are willing to settle for just having someone there no matter how badly they are treated. Humans are innately loving creatures. We are taught to hate through the absence of love in our lives. Nice write. Even when walking away is the right thing to do, even when a relationship is deeply flawed, still we feel pain. For us who write, our work can be a part of our healing, as I imagine yours has been for you. 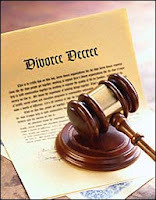 Loss of spouse by divorce can be compared to loss by death; many of the same emotions are experienced in both cases. I lost my spouse by death, but I read we both had the same misgivings of our lives ahead. Faith, family, and friends help so much, but it is companionship that provide us with the needed stability - I have my special pet cats :o) You've written some important directions for others with this piece, Dave. Heartfelt and a very scarey thing. Thanks so much Dave hope it gets to others... wish you all the best. you have a lot of help to offer to all. Dave, you beautifully portrayed the difference between being wanted and being needed. I applaud you for breaking the bonds and the curse of co-dependency which can be the most difficult kind of addiction to end. heartfelt write, dave; very well done! bravo! Deeply touched by this read Dave!! Bittesweet...but thank God you came out a better person...right?? Except for the overuse of a lot of commas, this was a well-written tragedy with a happy ending, tale. I wish you the best. You have come so far, Dave, and learned so much. Thank you for sharing. God bless you and wife he has gifted to you as you walk the healing pathway. WOW! The very same thing happened to me. One of the hardest things to reckon with while going through is that SOMEONE ELSE is going through the same exact thing and that we are not alone. Just as I have, I'm glad you chose to accept and move on. God bless you! Interesting words, Julie..I was one that thought I was totally blameless in my divorce...my marriage ended rather awful and all were apalled at my then husband's behavior. I now realize that I had a part in it as well...my part was that I allowed myself to be played, I put my husband first the majority of the time...his schedule, his wants, his desires, his career always ALWAYS came first and I thought this was fine...then one day he just up and left to be with another woman. I now realize that my passiveness allowed this to happen, but I must admit that in retrospect I am very, very glad that it did end. Today marks the third year anniversary of the end of a union that I was always second, rarely an equal and I am eternally grateful that he left. I now realize that his leaving was the best thing that he could have ever done for me. My only regret is that it ended so bitterly and i wish that one day he would have enough courage to admit that HOW he went about things was not the kindest and that it could have been handled with a WHOLE lot more maturity. While I could relate to most of this, I believe it takes two to tango. Not one person in the divorce is innocent. Until you ("you" being a general term) actually LEARN from your mistakes, ther eis no growth, and you just end up recycling the same past mistakes into a new relationship. Very thoughtful and courageous write, Dave. Hard to read with all the unnecessary commas, but worth plowing through to the end. Thank you Dave for this, for I too feel I was addicted, to her to my ilfestyle, and the comfort these thing brought....It's been eight months now. still no divorce, it's in the works. but today I played 18 holes of golf, once a weekly pleasure. and I honestly felt like myself again. Dammit, I can't believe I let her control me for ten years, thinking only of her happiness and abandoning myself. I wish you good luck in getting this published, Dave. An honest look and clearly written -- been there and done that, myself. Heart-felt and honest. Clear. Good communication. I think this is a good piece of writing. And if it is therapeutic, so be it! So much of writing is just that. Congratulations. I don't have the strength to seek a divorce myself. Great write and extremely heartfelt as well. Dave I am glad you are letting God work through you. Its difficult to handle this issue,when you have no one with you..